Though the Air Jordan 31 is set for an official unveiling next Wednesday, the internet has beaten Jordan Brand to the punch this year. Making rounds today is the first look at the new flagship model in the "Banned" or "Bred" colorway. The colorway and execution is a reference to the original "Banned" Air Jordan 1, which was hinted at in the teaser commercial that debuted this past week. In terms of silhouette, it's a basic design that looks like it could be the next shoe in the Super.Fly line or an updated take on the Air Jordan Sky High. Perhaps a symbol of the brand's evolution, the Swoosh fades out along the quarter, with a large Jumpman positioned near the heel. Tech wise, there's a fusion of woven synthetics and leather, locked in by Dynamic Flywire. There's still plenty to learn about the next era of Air Jordan, and we'll have all of the details you need here at Sole Collector next week. 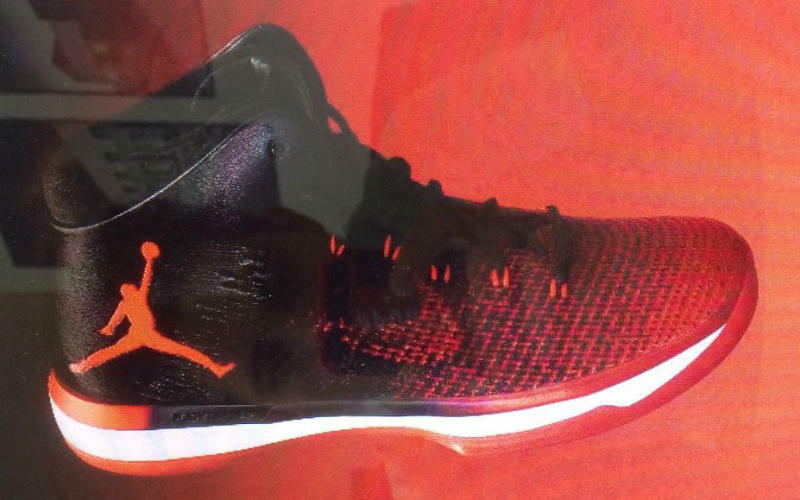 The "Bred" Air Jordan 31 is tentatively scheduled to release on September 3.